CARACAS, Venezuela -- President Nicolas Maduro has accused two opposition legislators of having roles in the drone attack that Venezuelan officials have called an assassination attempt on the leader, and his allies are moving against the accused. Agence France-Presse says Borges tweeted that the alleged assassination try was a staged farce. "Neither the country nor the world believe you when it comes to this farce of an attack, we all know that it was staged to persecute and repress those of us who oppose your dictatorship," Borges wrote on Twitter. according to AFP. 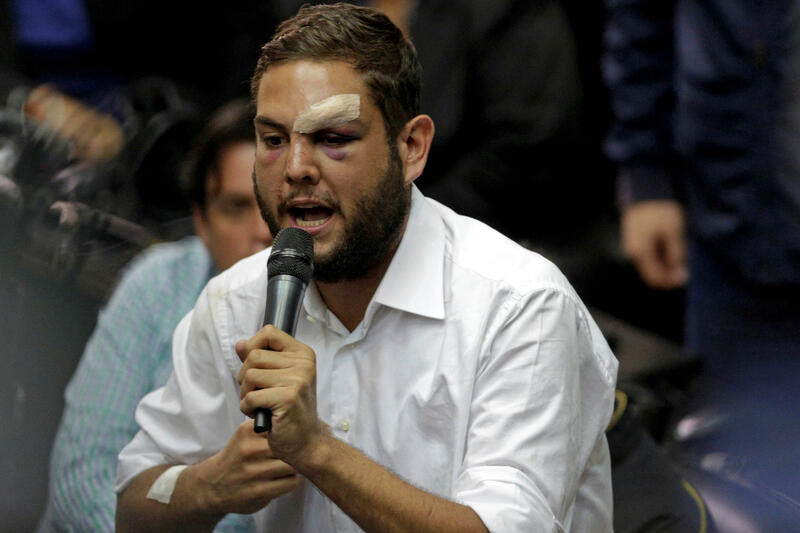 The Reuters news agency cites opposition figures as saying his sister, Rafaela Requesens, a student leader, was arrested with him but later released.